With the mechanical key system they had in place, missing keys were a concern and a significant amount of their time and resources were spent re-keying. To add to this, their proximity card system was coming to its end-of-life. The Church was facing costs of approximately $40,000 to upgrade to new proximity hardware, and this did not include their plans to expand to at least 600 additional doors. While researching available solutions, Calvary Chapel chose CyberLock because it was so cost-effective. They now have several hundred CyberLocks installed in their school classrooms, computer rooms, lab areas, staff offices, the sanctuary, two gymnasiums, and a warehouse. Jackson says, “CyberLock was so easy to implement and manage even at the early stage that the Church Board agreed to expand the system to other areas of the campus.” They continue to grow the system, buying 100 locks and keys at a time and installing them in new areas. “CyberLock has literally erased the threat of all those keys in circulation,” says Jackson. 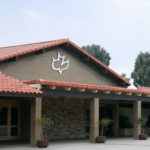 With CyberLock, Calvary Chapel can respond quickly when a key is lost, and no longer faces the expense of re-keying their facilities. The audit trail from the locks and keys helps them investigate any unusual situations. Because each person’s key is programmed with the permissions they need to do their job, they have tighter control of overall access. “We are very pleased with how CyberLock helps us manage the large amount of traffic through our buildings,” affirms Jackson. Click here to learn more about CyberLock applications for churches. "CyberLock has literally erased the threat of all those keys in circulation."